The SHARE Network Together group www.share-network.co.uk are a proud Award sponsor of the Yorkshire Children of Courage Awards www.yorkshirechildren.co.uk. 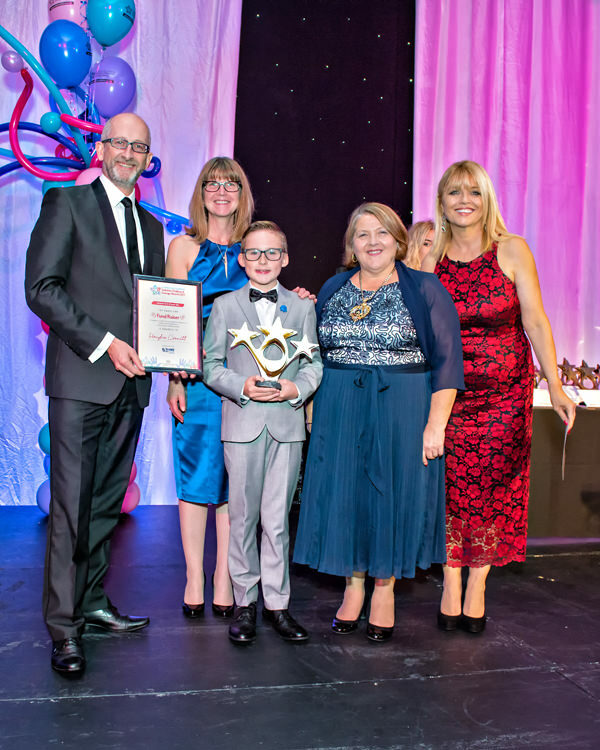 Yorkshire Children of Courage Awards is a unique event that combines honouring and recognising outstanding young people in Yorkshire , whilst raising funds for St. James’s Place Foundation. The event was truly spectacular, with nominees and winners demonstrating inspirational stories of personal courage and individual achievement, many overcoming sever adversity in their very young lives. An evening to put life into perspective. Jane attended the fabulous and inspiring event with her fellow SHARE Group members, and as Chair of the SHARE Network, was honoured to present this year’s Fundraiser Award in the 0-12 year olds category, to an incredible young man, Hayden Connett – who had been inspired to raise money making huge amounts of money to support those with his little brother Lewis’s condition – Apert Syndrome. Lewis – born in 2013, has undergone many operations and lengthy hospital stays in Alder Hey Children’s Hospital. Hayden, 10, decided in late 2015 that he wanted to raise funds for them to say thank you for all the care the hospital have given Lewis. Please see the attached Yorkshire Evening Post article for more details.